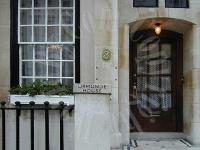 The kadimah is a bed and breakfast located in theheart of stamford hill. it is a terraced propertywith a different feel than most london hotels.Guests will love this property as it blends awealth of personality, modern amenities andunparalleled hospitality.Stamford hill is within easy reach of centrallondon. The Grosvenor Pulford Hotel is an 18th century cottage style brick building surrounded by landscaped gardens, situated in the village of Pulford, five miles from the Roman city of Chester. Set in a modern building with lift, the Blue Waters is just 200 metres from the seafront and the seaside promenade and a 20-minute walk from Saint Julian's. 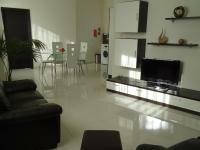 The spacious apartment offers free Wi-Fi, and a fully equipped kitchen with dining area. Situated between the Sinai Desert and the Red Sea, Oriental Rivoli Hotel offers 3 swimming pools and a private beach. It also has a Hammam and rooms with LCD TVs. Featuring 6 outdoor pools and a 9-hole golf course, this resort is just 300 metres from Maria Luisa Beach. A gym with professional instructors and 2 restaurants are available. This wonderful town house is situated in the very heart of Glasgow's famous West End district, a most desirable area with magnificent shopping streets and countless restaurants, bars and theatres. The friendly Merith House has en suite rooms with free Wi-Fi and satellite TV. 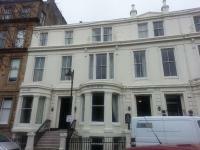 With free on-street parking, the house is a 10-minute bus ride from Edinburgh city centre.